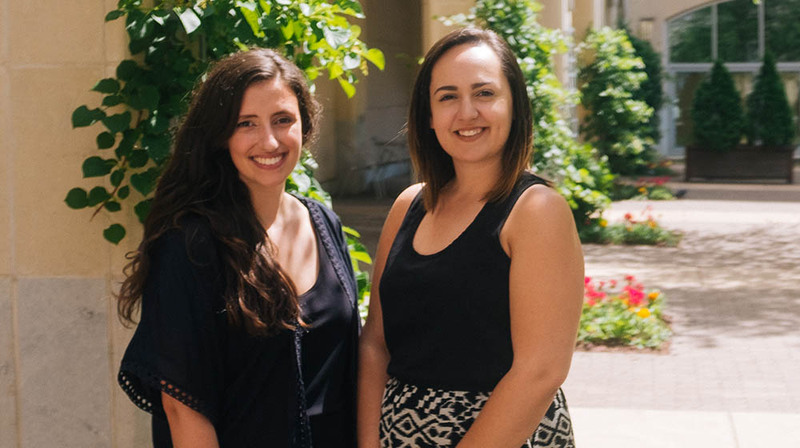 Two Point Park University journalism majors received scholarships at the 54th annual Golden Quill Awards presented by The Press Club of Western Pennsylvania. This is the first time college students' work was recognized as part of the Golden Quill Awards. 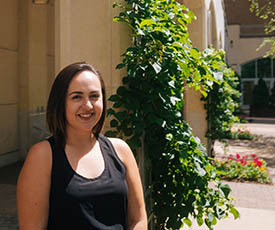 Francesca Dabecco, a senior from Montour High School in Robinson Township, Pa., is the recipient of the $5,000 Bob Fryer Memorial Scholarship. Victoria Bails, a junior from McGuffey High School in Washington, Pa., received the $2,500 Press Club of Western Pennsylvania Scholarship. What is the Bob Fryer Memorial Scholarship and what does winning this award mean to you? This annual scholarship is awarded by the Press Club of Western Pennsylvania to encourage outstanding undergraduate journalism students in print, broadcasting and multimedia. To me, winning this scholarship was much more than just a check to pay the bills. I am so grateful to have been chosen by the Press Club of Western Pennsylvania, but also incredibly honored to receive this award in memory of Bob Fryer, longtime editor of the The Tribune-Review. From talking with those who knew him well, I know that he was an incredible man with a true love of storytelling. I also know that before he passed away, he put up a good fight with a terrible disease — cancer. Those are two things that Bob and I actually have in common. I have an unending passion for people’s stories, and as a survivor, I have gained a new-found perspective in life and the stories we are all made of. From the Trib: "Make-A-Wish 'kid' writes to spread hope for children fighting illness"
What factors led you to choose Point Park for your undergraduate degree? 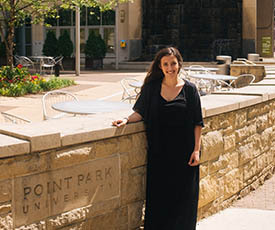 While I began my college career at a community college, I knew that Point Park was the right fit for me. It was the perfect transition — a small, yet urban setting, well-known for its School of Communication. It felt like a place that I could truly flourish. How is your college experience preparing you for your career? My Point Park experience has provided me with all of the tools that I need to become a successful storyteller. While my main love is print journalism, I have gained knowledge in all venues of media at Point Park. Between guidance from some amazing professors, hands-on work and real-word experience, I feel ready and confident to take on the world of journalism. What is the Press Club of Western Pennsylvania scholarship and what steps did you take to apply? This is a scholarship that is offered to students pursuing a career in the communication field that live or attend college in 29 counties in Western Pennsylvania. To apply, I had to write an essay explaining why I was deserving of the award, provide samples of my work, a letter of recommendation and fill out an application explaining my personal information and education background. What are some of your favorite Point Park experiences thus far? My favorite experiences have been my internship for Pittsburgh Magazine that I completed for college credit and the International Media course I took that gave me the opportunity to study in different parts of Italy. While interning for Pittsburgh Magazine, I had an inside view of what its like to work for a professional publication. Point Park made sure that was I was doing provided me with relevant experience that was worth my time and money spent. With the International Media course, I learned the differences and similarities between Italian media and the media I’m studying in the United States. At the end of the semester, we took a two-week trip to Italy where we visited professional publications and cultural sites. It was an experience of a lifetime! What advice do you have for a student considering Point Park’s School of Communication? Take advantage of the opportunities and experiences around you. From your first day at Point Park, you can gain experience in the field you’re studying and start building a professional portfolio to show future employers. If you take initiative here, your time spent will go a long way for your future. Also, build a relationship with your professors. They serve as fantastic mentors and references! Don’t be afraid to try new things. I found out a lot about myself by doing things that were new or different to me!